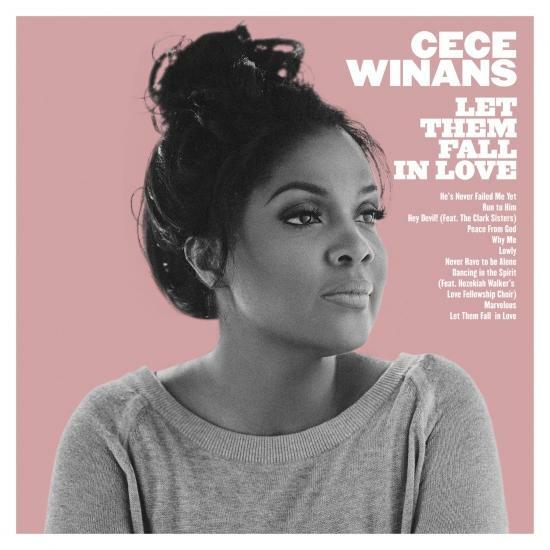 Her first album in nearly a decade, the 10-song collection contains some of Winans’s finest and most eclectic work to date. CeCe Winans has one of the most recognized voices in music and is one of the best-selling and the most awarded artist in Gospel music. Let Them Fall In Love is CeCe's invitation to worship that contains a fusion of music styles - the soulful sing-a-long of Motown, traditional praise and worship and retro swing featuring vocal harmonies, surrounded by horns and piano. The 10 songs on the album include a cover of Kris Kristofferson's, "Why Me" and features The Clark Sisters on "Hey Devil!" and Hezekiah Walker's Love Fellowship Choir on "Dancing In The Spirit."